Check this website from HADD (Homeowners Against Deficient Dwellings) for a more complete identification of active-inactive class action lawsuits/problems with building materials. Status of Class Action Lawsuits involving Composite Siding Materials - Most lawsuits are closed. Deadline for submitting a Claim Form in order to receive benefits from the Bonsal, Continental, Dryvit, and Parex Settlements is January 17, 2003. The Spencer Class POLYBUTELENE SETTLEMENT covered PLASTIC FITTINGS ONLY and has been terminated. The Spencer Class website has been closed. POLYBUTELENE SETTLEMENT CLAIMS HERE - PLASTIC AND METAL FITTINGS As of May 1, 2009, the filing deadline for all new Cox v. Shell, et al. claims has EXPIRED. Water Heaters manufactured between 1993 & 1997 had diptubes that dissolved over time and you found white plastic remnants in your lines and either clogged some lines or restricted water flow in your home. The class action lawsuit against the manufacturers using plastic diptubes has expired and no class-action remedies are available. However, individual lawsuits are still a recourse. Please consult an attorney or attempt to file a claim in small claims court. NOTE: There may be other home warranty service providers, but I have only seen warranty plans from these companies. Heating & Air Conditioning Reliable Heating & Air - 770-594-9096 Reliable's Website. Note: By placing these contractors above, I am not specifically recommending them. I suggest you perform some due diligence on your part and ask for referrals, but my clients have used them and have referred them to me. 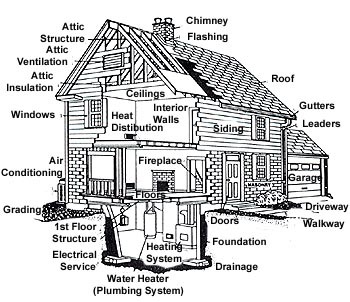 Some very good home maintenance tips year round. Some very good home maintenance tips year round from State Farm. Some very good home maintenance tips year round from AllState. Some very good home maintenance tips year round from HGTV. Some very good information & maintenance tips on septic systems. Access Brokerage, Incorporated is not responsible for the accuracy of information or decisions made using these links to other web sites. These sites are provided solely for exposure to information about real estate related properties and services.